You remember last week when I told you I found it difficult to blog since I met you? Since we became a couple officially, I have not had enough time to bond with my nephew and I don’t hang out with Andre as often as I used to. Not that I’m complaining. I enjoy every minute I spend with you. You are, of course. But I choose not to. After all, you are one part of my life that I’d rather keep private. That’s how possessive I am of you. But I’ll give you this blog post. They say that the hormones responsible for that incredible feeling of falling and being in love linger in the brain for only six months. So it’s a chemically-induced emotion, after all. Six months. Most of the time, these chemicals dry up along with the love. So that’s why most couples I know barely last seven months. Six months of hormonal euphoria and the seventh month is spent by the neurons deliberating whether to stay in the relationship or to call it quits. And many of them choose to break the other’s heart. You remember our first date? We were in UP Diliman that night. We sat on the grass and suddenly, fireworks started sparkling in the sky. Neither of us knew or even expected there’d be fireworks. But there were. You borrowed my cellphone, composed a message, and gave it back to me. I still have that message on my inbox. It was probably the first time the love hormones rushed in to my brain. That was more than six months ago. Experts expect that after six months the feeling will probably change. It’s true. The feeling did change. 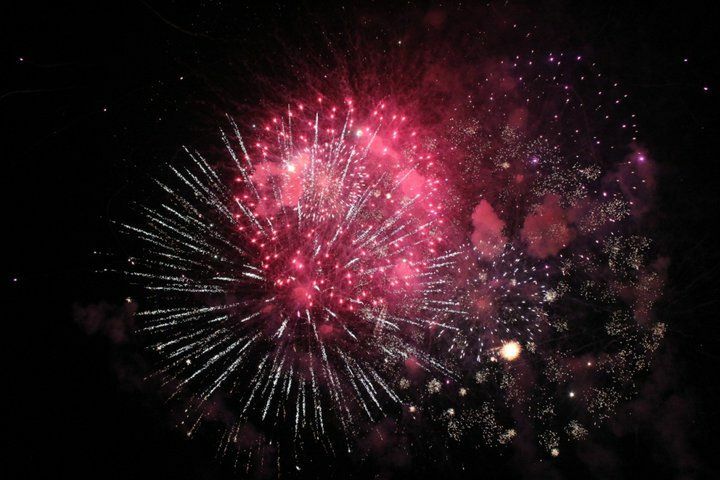 That awesome feeling I had when there were fireworks more than doubled. In fact, it grew exponentially. The greatest thing is that you have been giving me that hormone-rush so often but oh so effortlessly. We have not had a date expensive enough to regret it. You have not done anything grandiose enough to make me feel unworthy. You have not done anything that could be bigger than you. You just give me you. And you are enough, really. As said succinctly in one heartwarming Youtube video we watched together, in the end it is the small details that we remember. Oh yeah, the small details. Like the day you said “Damn, if this means I’m gay, then so be it. I love you.” And that delightful thrill when you stole a kiss from me when we were passing through a tunnel in Ayala. And the smile on your face when you secretly held my hand while we were in the middle of the sea of humanity on the MRT. And the moment you asked me to move in with you. And that night when we had a faux wedding in Tagaytay. And the way you kiss my face, caress my hair, and hold me closer at night when you think I’m already asleep. These are things I had not blogged about. But these memories will always be with me. The truth is, I think the love hormones had already abandoned my brain a very long time ago. They’re gone. Long gone. And all this that I feel for you is beyond hormones. Beyond physiology. Beyond science. After six months, love transcends being an emotion and becomes a decision. And that’s when it suddenly involves logic and demands cognition. That’s when it becomes valid, consummate. 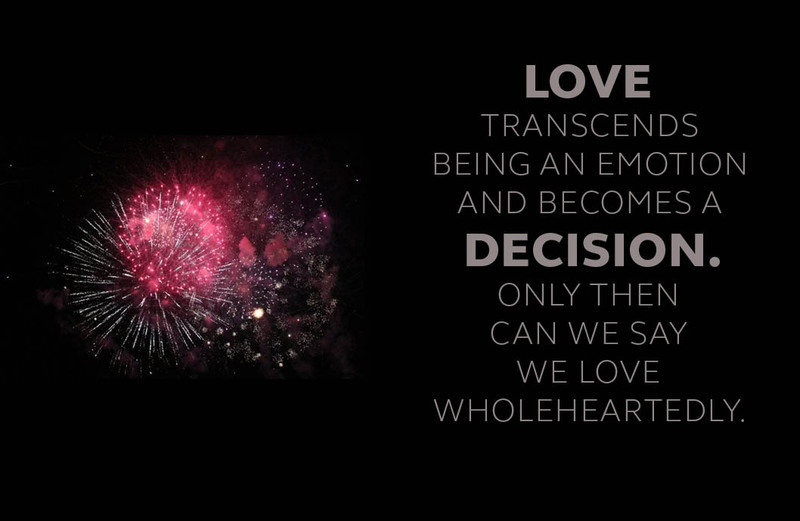 Only then can we say we have loved whole-heartedly. That’s when I loved you fully. And I still do. I fell in love with you more than six months ago. Later on, I decided to continue loving you. I know you’d made that decision, too. With or without those hormones, there will always be fireworks. And for that, thank you. What I feel for you is so much not even scientists can calculate. Not even hormones can induce. Not even fireworks can symbolize. Not even this blog entry can give justice to. Still, this blog post is for you. 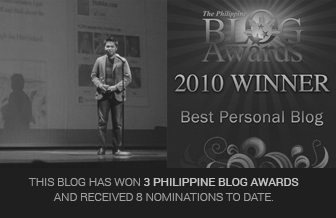 Note: This post was awarded one of 3 Best Posts of the Year at 2010 Philippine Blog Awards. Thanks to everyone who shared this. so kilig!!! hope both of you last 7 years.. 7 deaceds.. 7 centuries… 7 eons more! ‘so happy for the both of you!!! more fireworks together! FIREWORKS HUH??? Paputok ng paputok!!! Since we became a couple officially…I don’t hang out with Andre as often as I used to. Not that I’m complaining. you made me realize isa akong malaking third wheel!!! sabi ko nga ba na dapat hindi kita sinamahan nun eh di sana mas may moment kayo nun hahaha. joke lang yoshke. leche ka, kinikilig ako sa kabadingan mo. ang haba ng hair mo ha! me likes this to infinity and beyond! this has to be the best love blog i read from your site. uy, napadaan ka! tagal mong hindi napadpad dito! Hindi rin. Madalas naman ako… di lang nagcocomment. Hahaha. ikaw, mukhang depressed ka ah. Kung anuman yun, okay lang yun. congrats senyong dalawa. keep on loving and living. pero kidding aside, this is soooooooooooooooooooo SWEET! you’re one damn lucky guy, este, gay? haha..
waahh, nakakaloka..youre so sweet..he is so so lucky to have you..
so sweet….. congratz and I am happy for both! GB! it’s been a while yoshke. kakadalaw ko lang sa blog mo. kinilig na naman ako lalo na dun sa ayala tunnel thing na may halik pa at holding hands sa mrt. aww. so cheesy. amfness. sana nga lumagpas rin kami ng 6months ng hubby ko. waaaaaaahh! this is the sweetest entry na nabasa ko!… seriously! kelangan bang ako talaga mag-effort na maghanap? but it’s okay, acads acads acads muna. thanks jeff. you have a GREAT photoblog! sorry now ko lng nabasa. pero grabe 7 months na pala. hay… hindi ko tuloy lam if maaagaw ko pa sya sau.pero hindi pa rin ako susuko. hahaha! seriously super happy ako for both of you. Wow, bumalik ka sa blog ko! Hihi. awwww… ang sweet! how i wish my hubby would write something as sweet as this! ehehe… it’s really nice to have someone to love, and to be loved in return. hmmm… anong event sa UP dil ang nagtrigger ng mga fireworks? lantern parade? but whatever it was, whether imagined or real, I’m sure it felt magical just being with him. there’s just something about UP…that’s where my husband and I met…and we enjoy going back because it has changed so much from the time we were still CMC students. D Best! Yun lang masasabi ko. thank you so much.. 😀 God bless you! What a beautiful sentiment, thanks for sharing with the world! I stumbled upon your blogs and found your favorites list which led me to this one, and I was very curious what had gotten you one of the best hugs. It seems rightfully so. I wish you guys the best! kagabi ko pa binabasa to. binabasa ko ulet. pareho pa din yung kilig. hanep. kayo na. at fan na ako ng loveteam nyo. haha. :)) laaaab! bakit sa akin 3 to 4 months lang??? Maybe, then l0ve is nurtUred thats why there are who stays f0revr in l0ve. Yup, love has to be nurtured! I got goosebumps like seriously. This is nice.